Finished this one up tonight. 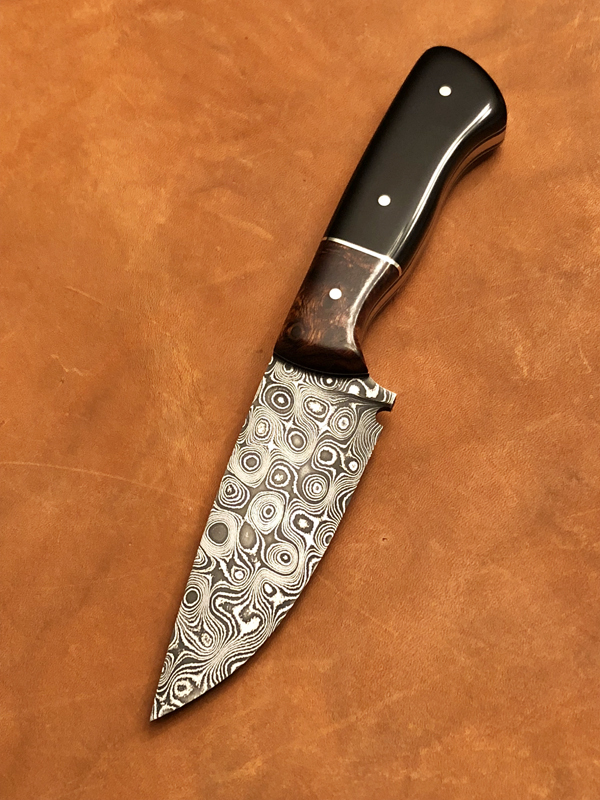 Alabama Damascus, buckshot pattern. 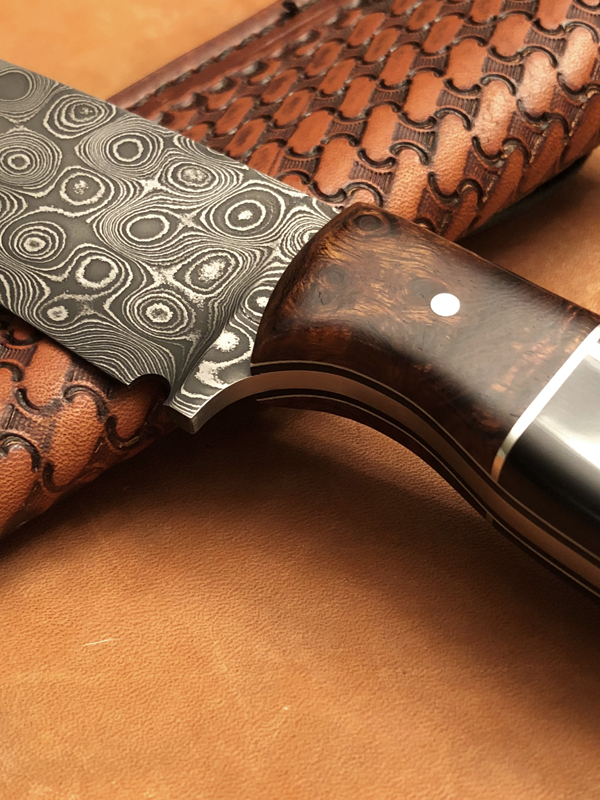 Ironwood and Ebony scales with a nickel silver spacer and nickel silver pins . Black and white liners. 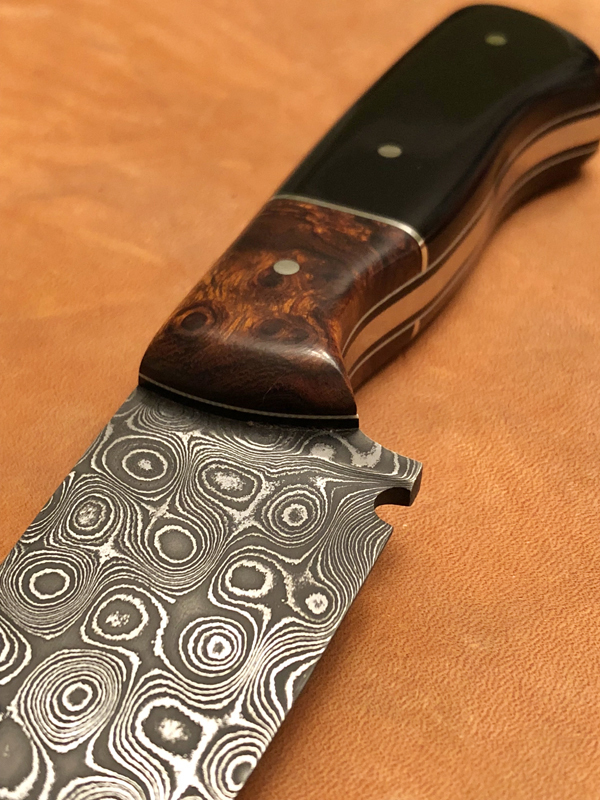 That's nice, I like the pattern on the blade. 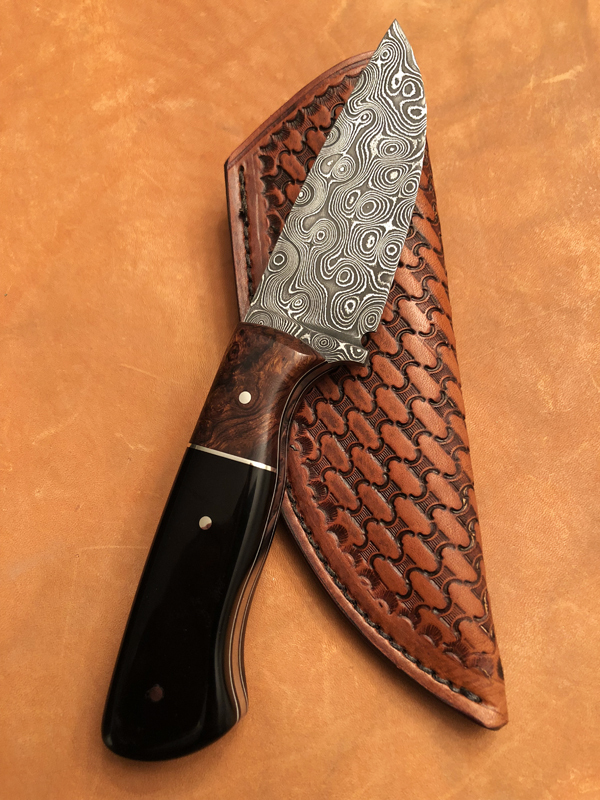 I really like that knife! Matt Fowler and 1 Guest are viewing this topic.